After this story, you’ll want to pay a little more attention to your pocket change. Would you ever imagine that a penny could be worth six figures? Neither did Don Lutes, Jr., and he didn’t find out until about 70 years after he found the rare coin. When Don Lutes, Jr., received change back from his school lunch purchase, he never dreamed he’d be one of the lucky recipients of a rare copper penny. It was 1947, four years after a few copper pennies were accidentally minted and put into circulation. Being a coin collector himself, he had a trained eye and knew how to spot these special pennies. The story behind these rare pennies is that they were mistakenly made with copper. At the time, copper was used to make wire and bullets for World War II, and all pennies were therefore to be made with zinc-coated steel. People began to hear about these “error coins” and were excited about the possibility of finding one. It was rumored that Henry Ford said he would gift a car to anyone who found one. When Lutes decided to contact the Treasury Department about the copper penny, they shut down the notion. And the Henry Ford rumor mentioned earlier? Lutes contacted Ford Motor Co. after his find and found out the rumor isn’t true. So far, the penny had definitely not proven to be too lucky, but he held on to it. Decades later in 2018, Lutes contacted Heritage Auctions about the penny. They made a plan to auction it off, but Lutes died before the auction took place. On January 10, 2019, the penny sold at auction for $204,000. Lutes made it clear before his death that he would like the proceeds from the sale of the penny to go to the Berkshire Athenaeum at Pittsfield’s Public Library in his hometown. Heritage Auctions is working with his estate to honor his wishes. 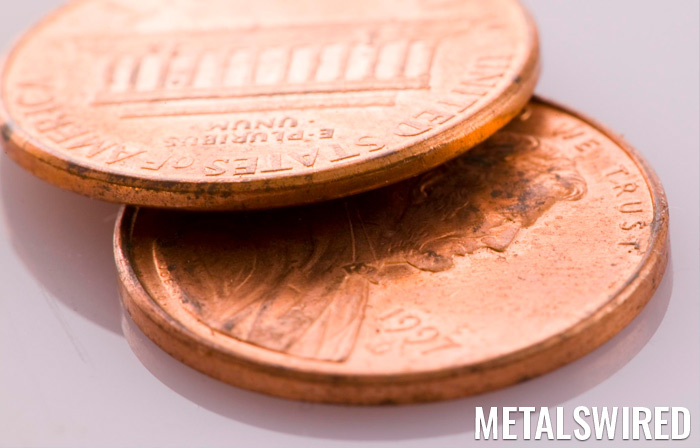 Did you know: Despite the high price of this particular penny, the U.S. Mint actually loses money on penny production.